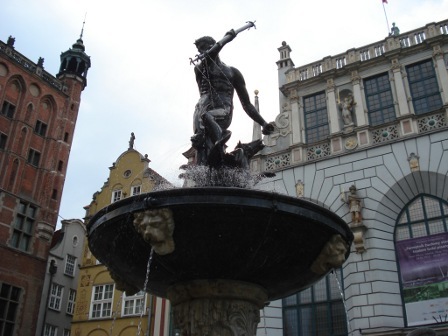 The famous Neptune Fountain, in the Old Town of Gdansk. 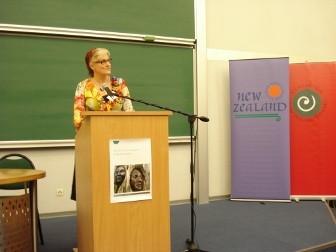 The conference is opened by Lisa Futschek, Charge d'Affaires of the New Zealand Embassy in Berlin. Keynote Alan Duff, special guest speaker on the first day. Photo courtesy of Ilona Zdziech. 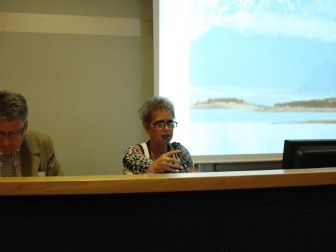 Opening Keynote, Professor Khyla Russell, presents her paper on Maori whakapapa (genealogy). Delegates mingle during one of the conference breaks. 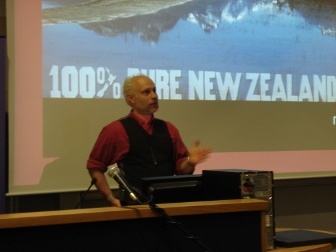 Professor Ian Conrich presents his conference paper on Kiwi Gothic cinema. The Saturday afternoon conference excursion. 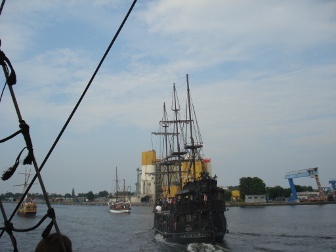 A boat trip from the Gdansk Old Town aboard a mock galleon. Delegates disembark from the galleon boat trip enroute to the conference dinner.